After more than two months of street protests in Venezuela, the Obama administration has placed its hopes on a spurious “dialogue” between the government and members of the organized opposition. As the Obama administration stands by, however, the chances that the crisis can lead to any positive change in Venezuela are fading. So far, the negotiations have only produced nebulous agreements on a Truth Commission, improving citizen security, and returning to constitutional procedures in electing certain government officials. That the government was intent on blocking any meaningful agreement was evident from the start. It refused to release opposition leaders who had been jailed sans due process following the outbreak of protests — including Leopoldo LÃ³pez of the Popular Will party — to join in the talks. The government has also dodged any responsibility for the marauding colectivos, who have been brutally attacking citizens protesting in the street. Instead, Maduro claimed the opposition was initiating the violence and his “supporters” had a right to defend themselves. Certainly, the opposition is aware they are being taken for a ride. But it is not surprising that those opposition figures who are wary of confronting the regime have submitted to this political theater. The international community has been scolding them for the past decade to work within the system to effect positive political change, despite the “system” having been rigged against them in every conceivable way for 15 years, first under Hugo Chávez and now under his hand-picked successor Maduro. What observers need to be aware of is that the opposition representatives arrayed around the negotiating table and those protesting in the streets are not one and the same. As I have written before, the protests began as spontaneous, organic eruptions of student discontent over street crime and economic hardship under chavismo. They were neither called for nor led by the organized opposition forces. As such, the latter does not have the power to turn them on or off depending on which crumbs the government decides to dole out. All of this means that negotiations will not end Venezuela’s crisis — only real reforms will. Effective reforms would arrest the economic freefall wrought by the hare-brained statist policies of Maduro and his Cuban advisors, and re-establish credible institutions to channel discontent and foster real debate about the future of the country. The problem with that scenario is that to Maduro, all opposition is illegitimate and deserves no voice in the country’s affairs. The Obama administration, meanwhile, has held to its position that the negotiations could actually bear fruit. In fact, it has pressed that line on Capitol Hill, stalling sanctions legislation in both the House and Senate that could “upset” the negotiating process. The irony, of course, is that pressure from sanctions is the only way the Venezuelan government will enact meaningful change. It has paid no price for unleashing its paramilitary thugs against protestors, so why would it alter its approach? Either we care what happens in Venezuela, or we don’t. If we do, then at least let’s act like it. Ships near nuclear submarine base at Kings Bay, Ga.
A Russian intelligence-gathering ship has been operating off the U.S. East Coast and near the Gulf of Mexico for the past month, the Pentagon said Thursday. The Leonov is an intelligence gathering ship outfitted with high-tech electronic spying gear. The Chiker is an ocean-going naval tug that has been accompanying the spy ship on its mission. Both ships were detected operating off the coast of Florida near the U.S. Naval Station Mayport, Fla., which is south of the Naval Submarine Base Kings Bay. The Russian intelligence gathering coincides with heightened tensions between the United States and Russia over Moscow’s recent military annexation of Ukraine’s Crimea. An official said it is possible that the electronic spying is related to watching U.S. nuclear missile submarines as part of a Russian nuclear exercise. According to Russian military press reports, some 10,000 Russian troops and 1,000 pieces of military equipment of the Strategic Missile Forces took part in an exercise April 17 to 19—coinciding with the transit of one of the ships, the Chiker, to Cuba from the coast off northern Florida on April 19. “The exercises will test the cohesiveness and skills of units and commands in the process of alerting and the achievement of training objectives under various circumstances and in any time of the day,” Russian defense spokesman told Interfax. The Chiker also is known to support submarines and is equipped with lift capability for servicing Russian submarines. El Salvador’s purportedly moderate new president met this week with two Cuban spies convicted in the United States, raising questions about his willingness to work with U.S. officials on anti-gang and anti-drug efforts. Salvador Sanchez Ceren met with the spies as well as Cuban President Raul Castro on the communist island, according to a Salvadoran news outlet. The two men, Fernando Gonzalez and Rene Gonzalez (no relation), were members of the “Cuban Five” that were convicted on charges of conspiracy and espionage in the United States and later released to Cuba. The visit received scant media coverage but could be a sign that the new president will govern as more of a hardline leftist. 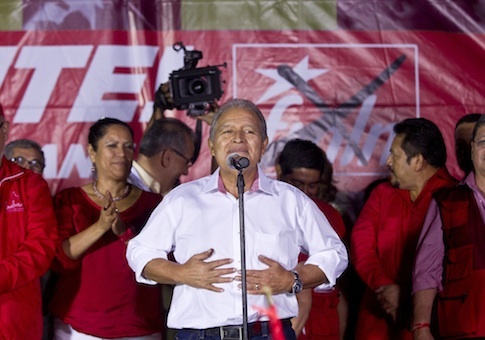 Ceren, a former Marxist guerilla leader in El Salvador, promised to govern as a moderate before narrowly winning the presidential election in March. The other three members of the Cuban spy ring are still serving prison terms in the United States. One of them, Gerardo Hernandez, was linked to the deaths of four Cuban exiles in 1996. The exiles were pilots in the Brothers to the Rescue group that aided thousands of Cuban rafters fleeing the island. A State Department spokesperson declined to comment on Sanchez Ceren’s visit to Cuba and referred the Washington Free Beacon to the Salvadoran government. “We continue to work with the government of El Salvador on our many shared interests, including regional security,” the spokesperson said. The direction of El Salvador’s government has important implications for U.S. security. El Salvador is “a major transit country for illegal drugs headed to the United States from source countries in South America,” according to the State Department’s 2014 report on international narcotics control. Illicit drug shipments cost American taxpayers about $193 billion in 2007 for the health care and criminal justice systems, the latest data available. Two years ago, Yasiel Puig fled Cuba in the hands of black-market smugglers. This is the story of how the cost of the defection journey – in money and human lives – shadows him still. Just before dawn one day in late April 2012, four young Cubans stood on an otherwise deserted beach, peering hard into the Caribbean darkness. They were trying to escape their native country, and they were waiting for the boat that would take them away. Thirty minutes passed, then 60. Still no boat. Three men and one woman, the group had arrived at the designated spot close to the appointed hour: 3.a.m. By design, the rendezvous point was located on one of the most isolated coastal stretches in a country famous for nothing if not isolation — so remote it could be reached only by foot. They had spent the previous 30 hours hiking there, without sleep, and had reached varying levels of emotional distress; the stakes were high. Covert interests in Miami and Cancun had made the arrangements from afar. Their goal was to extract from Cuba a baseball player of extraordinary talent and propitious youth. Just 21 years old at the time, Yasiel Puig already was well-known to both Cuba’s millions of fervid baseball fans as well as officials high in the hierarchy of the Cuban state-security apparatus. With Puig was Yunior Despaigne, then 24. 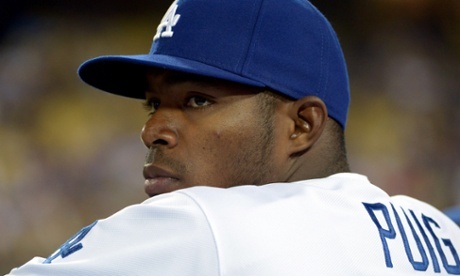 A former national-level Cuban boxer and a friend of Puig’s from their teens, Despaigne had spent the previous year recruiting Puig to defect, under the direction of a Cuban-born resident of Miami named Raul Pacheco. If caught and found out as an aider and abettor, Despaigne would inevitably face serious prison time. He and Puig had together made four failed attempts to escape the island over the previous year. The authorities were almost certainly wise to their machinations. They needed this trip to work. According to Despaigne, in the escape party were Puig’s girlfriend and a man who, Despaigne says, served as a padrino, or spirit guide, a kind of lower cleric in the Afro-Catholic religion of Santeria. Sometime before this latest escape attempt, Puig and his girlfriend had sought out the padrino; a vatic ritual had revealed that their voyage would end in good fortune, Despaigne says. The couple decided to take the padrino along so as to improve their chances for safe passage. HAVANA — The imposing, seven-story structure with darkened windows sits just across from the Malecon, or sea wall, central Havana’s communal hangout. It is unadorned, flying no flags, offering few signs that germinating inside are seeds of a better relationship between official enemies. The United States cut off relations and imposed a trade embargo with communist Cuba more than half a century ago. But at the so-called US Interests Section in Havana, 50 US diplomats and 300 locally hired Cubans are quietly working on a range of common challenges. The two governments are cooperating to combat human trafficking, improve airline security, and conduct search and rescue operations. They are working on joint efforts to improve public health and guard against environmental degradation. And “working-level” discussions are under way to do more, officials say. The Drug Enforcement Agency could soon be sending agents to work with Cuban counterparts to track South American cartels, and the United States has proposed reestablishing direct mail delivery between the countries. The behind-the-scenes work continues despite the recent controversy over a covert US effort to provide Cubans access to a Twitter-like social network. Another thorny disagreement is over the fate of Alan Gross, a US State Department contractor who has been jailed in Cuba for four years, accused of being a spy. Cuban officials insist they want something in return; namely, three Cubans convicted in the United States on charges that they were intelligence agents. “There is a big over-arching political cleft. But we are doing a number of things that have been politically blessed by both sides,” said a senior US diplomat who works at the diplomatic post. The diplomat — who requested anonymity to speak, in compliance with State Department rules — expressed frustration that interaction between the two governments at higher levels is still officially prohibited. 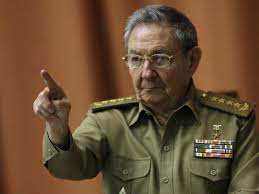 Cuba’s leaders, meanwhile, decry continuing US efforts to destabilize their one-party system. But a recent visit to this island just 90 miles from Florida, and interviews with Cuban and American officials, revealed a slow but unmistakable thaw on both sides of the Florida Straits. They are realistic about the snail’s pace of change, while describing pent-up demand for better economic opportunities. Nowhere is that more evident than at the US Interests Section, housed in the former US Embassy that was completed just before the Cuban Revolution in 1959, when Fidel Castro, along with his brother Raul, took power. 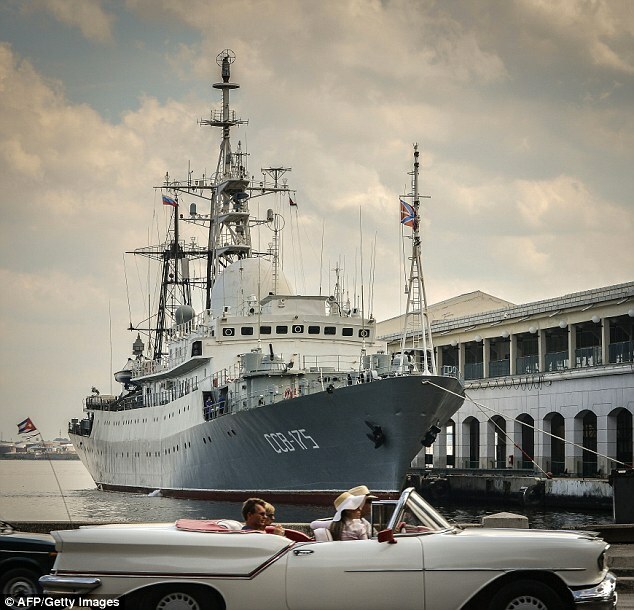 If symbols could gather rust, the American trade embargo against Cuba would be covered with it. Enacted in 1960, shortly after Fidel Castro came to power, and expanded in 1962, at the height of the Cold War, the embargo has frozen the United States and its tiny neighbor off the Florida coast in a standoff that seems as dated as the classic American cars on Havana streets. Leaders from around the world have been calling on the United States to dismantle the embargo for more than 20 years, and recent polls show that a majority of Americans are in favor of lifting it. With the repressive Castro regime seemingly nearing its end, a “normalization” of relations between the countries seems increasingly within reach. That would appear to spell an end sometime soon for the embargo, which in the popular imagination stands as a sort of political weapon that was designed to cripple Castro and stem the tide of communism. 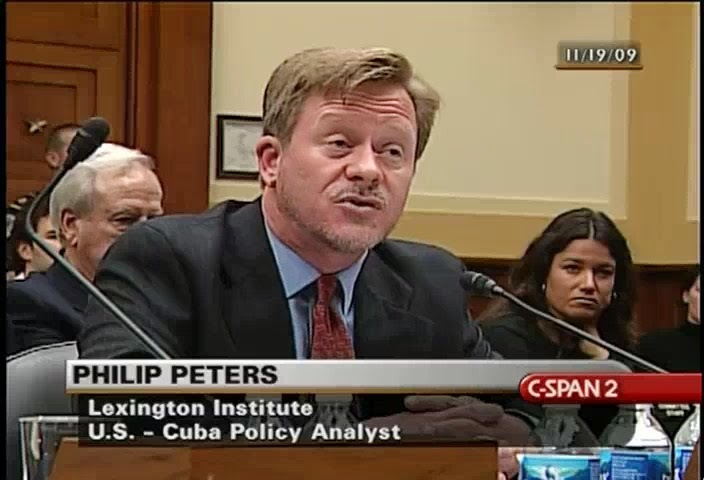 While the other dominos are clearly much more daunting—the overall point of the Helms-Burton Act is that Cuba has to have a democratic, America-friendly government in place before there can be any talk of lifting the embargo—experts say the property claims will be an intensely difficult problem to settle when it comes time to do so. For one thing, Cuba is unlikely to ever have enough cash on hand to fully compensate the claimants, especially while the embargo is still in place; to make matters even more complicated, many of the individual claimants have died, and some of the companies no longer exist. With Cuba inching toward reform on a number of fronts over the past several years, giving hope to those who believe our two countries might reconcile in the near future, a number of Cuba experts have begun to study the question of how to resolve the property claims in a way that is both realistic and fair. The proposals that have come out of their efforts provide a unique window onto the potential future of the American relationship with Cuba—and point to the level of imagination that can be required in the present to turn the page on what happened in the past. It’s not often that a U.S. government agency gets caught red-handed abiding by its charter and performing its publicly-avowed and legislatively-approved duties. But last week the AP “broke” a long and breathless story from Havana that nailed the USAID (United States Agency for International Development) for just that. In their own words, “a secret plan aimed at undermining Cuba’s communist government,” was courageously exposed by the AP’s intrepid Havana bureau. Such is the magnitude of the scandal that a red-faced and snarling Senator Patrick Leahy is now chairing hearings on Capitol Hill where he grills USAID director Rajiv Shah on his agency’s “cockamamie!” plan. The diabolical cloak and dagger scheme hatched in 2008 during George Bush’s term (which may account for Democratic Senator Leahy’s dudgeon) amounted to setting up a “Cuban Twitter” named ZunZuneo (Cuban slang for a hummingbird’s tweet) in order for Cuban youths to text each other without snooping by Castro’s KGB-mentored secret police. Caught your breath back? Yes, amazingly such a scheme somehow escaped the imaginations of Ian Fleming, John Le Carré and Tom Clancy. In sum, a brief effort was made (lasting from 2008-12 and involving 68,000 of Castro’s hapless subjects) to allow Cubans (who pre-Castro enjoyed more phones and TVs per-capita than most Europeans) to communicate with each other in the same manner as do teenagers today in such places as Sudan, Papua New Guinea and Laos. Understandably this scheme to facilitate a tiny window of freedom for a tiny fraction of their subjects greatly alarmed Cuba’s Stalinist rulers. After all, it wasn’t easy converting a free and prosperous nation with a higher per-capita income than half of Europe, a flood of immigrants from same and the first Mercedes dealership in the Americas into a totalitarian pesthole that repels Haitians and features a glorious rebirth of communications by bongo-drum and transport by oxcart. Well, the news was barely broken by Castro’s U.S. media allies when, as mentioned, Castro’s U.S. legislative allies picked up the signal from Havana and erupted in outrage—not against the KGB-mentored censorship by a terror-sponsor mind you. But against the U.S. attempt to foil it. No. This is not your father’s cold war. An ostensibly market-oriented nonprofit group defending a controversial federal program to finance the purchase of U.S. exports is financially supported by top defense contractors that benefit from the program. The Lexington Institute’s website portrays the group as a free market think tank. It “actively opposes the unnecessary intrusion of the federal government into … commerce … and strives to find nongovernmental, market-based solutions to public-policy challenges,” the group’s website says. The group is also a strong proponent of the Export-Import bank, a federal program to boost American exporters, and previously worked to ease the U.S. embargo against Cuba on behalf of a Canadian company with interests in the country. The group’s critics say the interests of Lexington’s donors explain why a think tank that claims to be laissez faire in its attitudes would go to bat for companies operating in a repressive communist state and a federal program derided as “corporate welfare” by top U.S. politicians, including then-Senator Barack Obama. 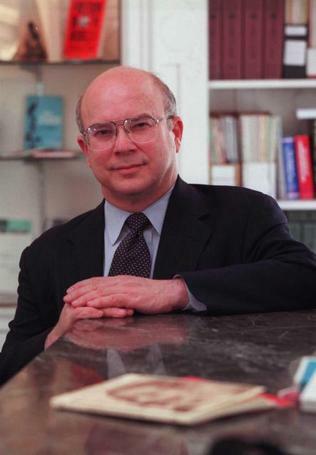 Lexington has recently taken to hammering the Ex-Im bank’s critics. Thompson has also attacked Club for Growth for criticizing the bank. “Naive proponents of pure capitalism … think Ex-Im Bank is a form of corporate welfare even though it doesn’t actually subsidize anyone,” Thompson wrote in a Forbes column that singled out Club for Growth. “People with a more practical grasp of how economics operates in the real world will have to weigh in to assure U.S. exporters are not hobbled by ideology,” he wrote. Thompson’s attacks on Heritage Action and the Club for Growth make more sense, Lexington’s critics say, in light of financial support for the group by major defense contractors that benefit from Ex-Im financing. According to Thompson, Boeing, Raytheon, and Lockheed Martin are Lexington donors. Lockheed is also a client of Thompson’s consulting firm, Source Associates. Cuban dissident Berta Soler says she and other members of the Ladies in White were handing out toys to children at Trillo Park in Havana when a State Security officer detained them and seized the 60 to 70 toys. That’s why, several of the foreign supporters argue, they must use a measure of discretion when sending aid to democracy, human rights or Internet freedom activists in Cuba — enough to ensure it reaches the right people on the island but not so much that it raises suspicions of major illegalities. “When State Security seizes laptops or even copies of the [U.N.’s] International Declaration of Human Rights, you have to use some discretion,” said Frank Calzon, head of the Center for Cuban Democracy in Washington. 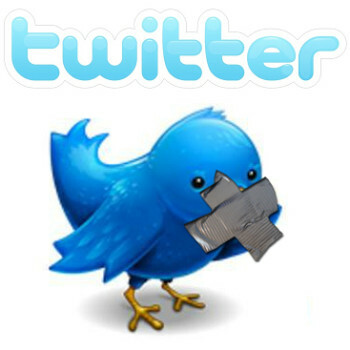 The issue of secrecy in efforts to help Cuba’s civil society hit front pages last week when The Associated Press reported that the U.S. Agency for International Development had created a “covert” Twitter-like platform for Cubans. USAID said the program was not covert, only “discreet” because of the “nonpermissive environment” on the island. Calzon said he did not mind talking about the precautions he takes in helping Cubans because his center no longer receives U.S. government grants for Cuba programs, and suspects that Havana knows them anyhow. He stopped keeping important documents in his office after three break-ins in which thieves rifled through files but took no valuables, Calzon said. He keeps four shredders in his office and has it swept occasionally for eavesdropping devices. But he never revealed the names of the travelers to USAID before they had left the island, Calzon added. And if he sent cash, he would ask one activist to distribute the money to others in need, but he never provided a full list of recipients. Venezuelan President Nicolas Maduro and opposition leaders are meeting this week for formal talks to end weeks of protests. Critics of Venezuela’s government believe no deal can be achieved because Maduro is not willing to give in to their demands. 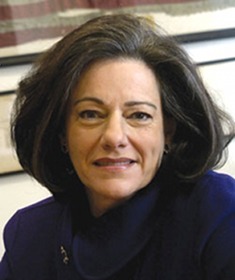 Fox News National Security Analyst KT McFarland spoke to Jose Cardenas about the prospects of an agreement. 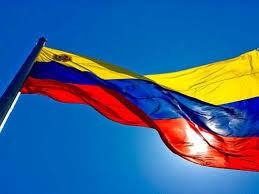 Cardenas is a former State Department senior adviser and currently serves as an associate with Vision Americas. “I’m very pessimistic that this dialogue will lead to anything credible and lasting,” Cardenas said. “These [talks] are mostly for international consumption.” Cardenas sees the current protests as “spontaneous,” not organized by the country’s opposition as the government alleges. “These are students who have no overt political agenda,” Cardenas said. The protesters are demanding Maduro loosen his control over the economy and media. “The government somehow needs to address the anger and frustration of the student movement that has basically sparked these protests,” Cardenas said. Watch the full interview above with Jose Cardenas.